We create and deliver meaningful exhibitions, events and experiences around the world. Ahead of Paris Air Show, we’re sharing insights into 4 of our very different aerospace design projects. Whatever your presence at Paris Air Show - small to chalet - we deliver commercially successful and cost-conscious results whilst creating real visual impact. 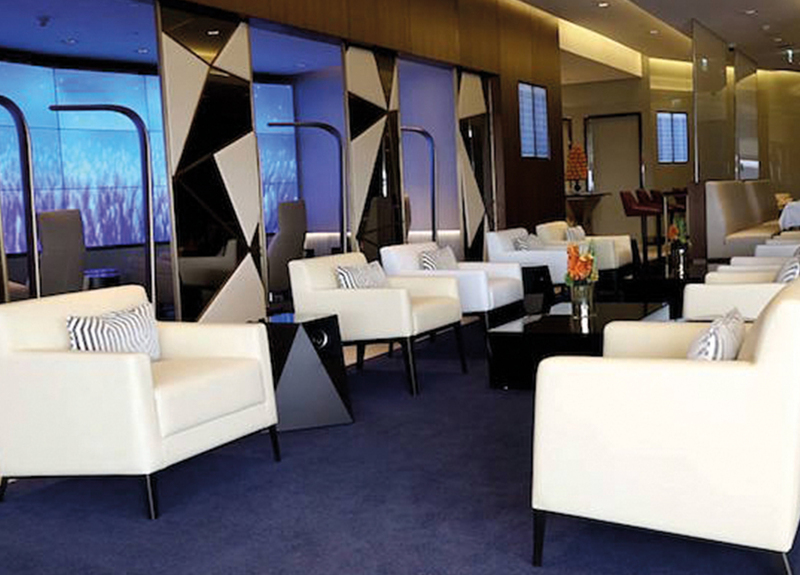 National airline of the United Arab Emirates, Etihad Airways approached us to design and install a 120 sqm chalet at Farnborough Airshow that would emulate the luxury of their first class lounges and continue to position them as a leading player in the airline industry. The chalet was designed, manufactured and installed in three weeks from start to finish using the highest specification of materials ever used at Farnborough Airshow. Marble floors and mosaic tiled bathrooms coupled with bespoke furniture and lighting provided Etihad with a luxurious onbrand experience for their visitors. During the show, the airline placed one of the largest aircraft orders in the history of commercial aviation. The total deal for up to 205 wide-body and narrow-body planes was worth approximately $43 billion. We partner with Pilatus across their global flagship airshows including Farnborough, Paris and Avalon. Pilatus represents some of the best of aerospace engineering; products that are number one worldwide in their niche sector with a brand that has always stood for Swiss quality, precision and innovation. 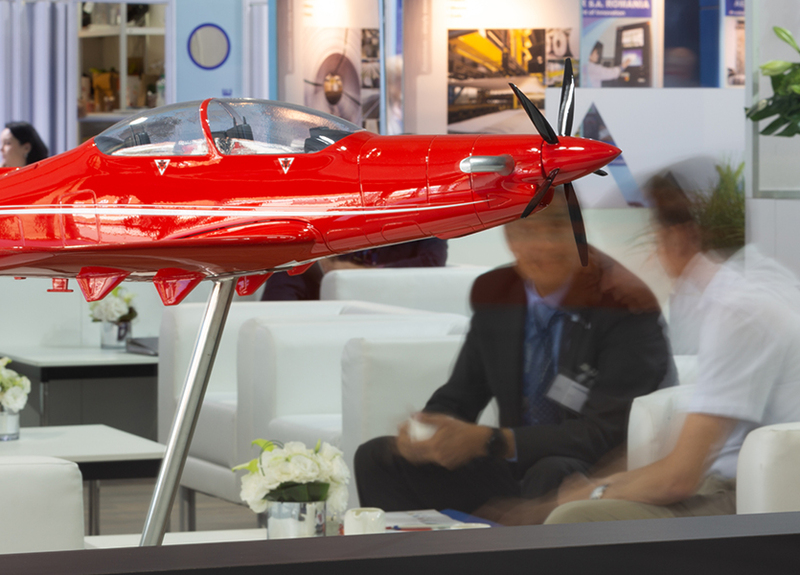 The booth design for the company encapsulates this: portraying the brand story and creating the Pilatus experience on-stand for their customers. Our bespoke designs range from large 120sqm exhibition stands to two-deck chalets, incorporating hospitality areas, VIP entrances, private lounges, meeting spaces and corporate entertainment areas. Leading provider of aircraft ground support services, Euro Jet, planned to celebrate their 10th anniversary at EBACE 2018. They required a hospitality experience (in a 50sqm space) rather than an exhibition stand to celebrate this important milestone including a bar to host 80 people, private meeting room to accommodate up to six people and more. As part of Euro Jet's 10th anniversary celebrations, we created a hospitality experience, including a VIP area and an ambient bar that can work as a day time exhibit but transforms into a party environment at night. We suggested circus performers on the night of the celebrations and the invention of their own ten-year cocktail to make the celebrations even more memorable. 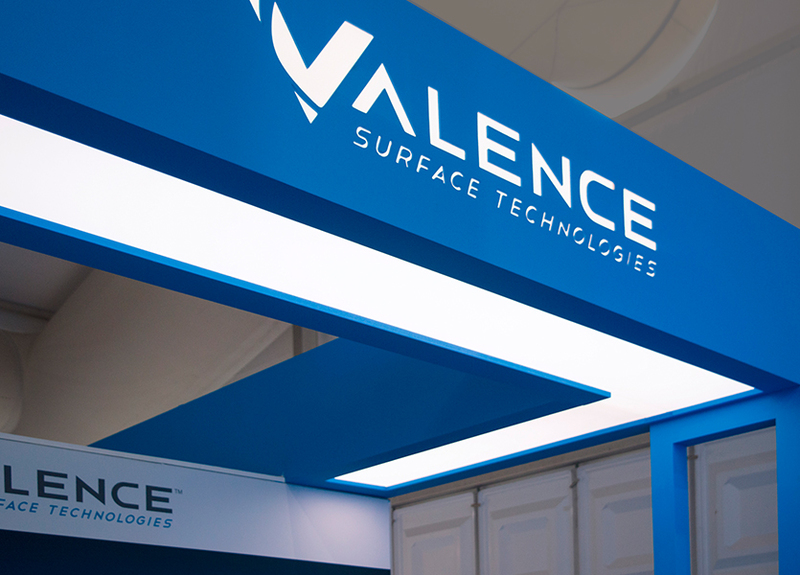 Valence is an aerospace-industry world leader in product-finishing and in the plating and chemical processes involved in surface technologies - working across the commercial, defence and space sectors. The 59sqm stand featured an LED-lit top-side wrapping around the whole stand, with a giant ‘V’ supporting corner that plays on the brand logo and is highly-visible from a distance. We bring together exceptional strategic thinkers, creatives and project managers to give you and your brand the highest level of quality, creativity, visibility and measurability. We always ensure your objectives are met and exceeded. If you would like to explore how we can help you enhance your brand presence at Paris Air Show, please email hello@ignitiondg.com - we’d love to hear from you.